3D geological modelling software developed by ARANZ Geo (www.aranzgeo.com) is being used to develop a geological model of earthquake-damaged Christchurch by GNS Science following the devastating earthquakes of 2010 and 2011. The model, the most comprehensive of its kind in the world, will help in the rebuild of Christchurch. It will be made available to the public in 2013. 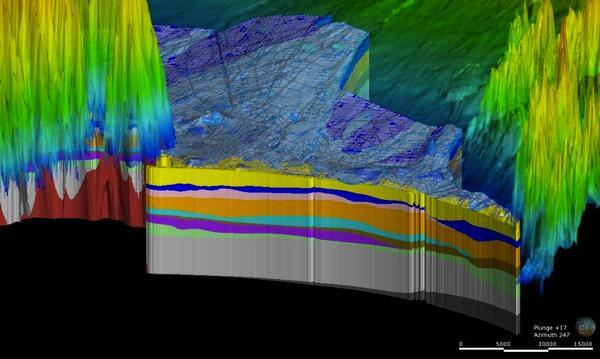 GNS Science is using Leapfrog (www.leapfrog3d.com) 3D geological modelling solutions, with versions for mining, hydrogeology and geothermal industries, to model the ground conditions and materials underneath Christchurch city and their geotechnical properties. The GNS Science model will be a guide for liquefaction vulnerability and for informing foundation requirements for buildings. The map will also be useful for groundwater management and groundwater quality monitoring. The 3D model clearly shows the spatial arrangement of numerous geological layers under Christchurch and the Canterbury Plains. It has been developed with considerable vertical exaggeration to help visualise otherwise thin geological layers. Data used to construct the model comes from 11,000 groundwater boreholes drilled over several decades by Environment Canterbury. The boreholes have an average depth of 30m with some several hundred metres deep. The model also includes data from over 1,500 Cone Penetrometer Tests (CPT) collected mostly for Tonkin and Taylor working on behalf of the Earthquake Commission since the 2010 magnitude 7.1 Darfield earthquake. These were collected in the greater Christchurch area by a truck-mounted stainless steel probe, at depths averaging from 15m to a maximum of 45m. The model is already the result of over a year’s work by geologists John Begg and Katie Jones and is part of GNS Science’s Geological Map of New Zealand core research programme supported by New Zealand Government public research funding. 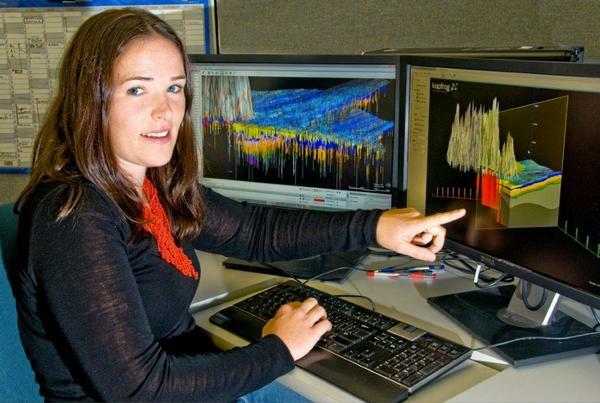 GNS Geologist Katie Jones says, “Leapfrog software enables us to visualise the materials and their geotechnical properties underneath Christchurch in 3 dimensions making it easier to understand the region's geology." GNS Science also plan to build similar models using Leapfrog software for all of New Zealand’s urban areas within the next 15 years.